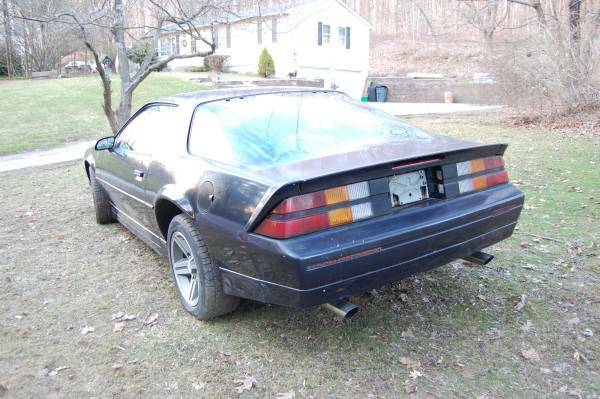 Now is a good time as any to get into a third generation Chevy Camaro or Pontiac Firebird/Trans Am. In recent years, the Smokey and the Bandit 1970's cars have seen some strong appreciation so bargain third gens are still out there. The Iroc-Z is a icon of the 1980's and boasted a real racing heritage. These Camaro's duked it out with the 5.0 Mustangs for king of the streets in the late 1980's when engines awoke from malaise era induced fog. The 5.0 305 Chevy V8 was and is second fiddle to the 350 5.7. 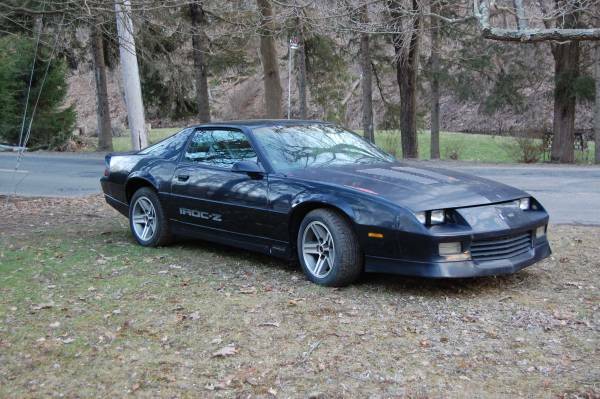 However, only the 305 was able be paired with a 5 speed manual and in 1987 it only had 10 less hp than the top rung 350 Find this 1987 Chevy Camaro Iroc Z for sale in Newtown, CT for an easy on the budget price of $2,500 via craigslist. 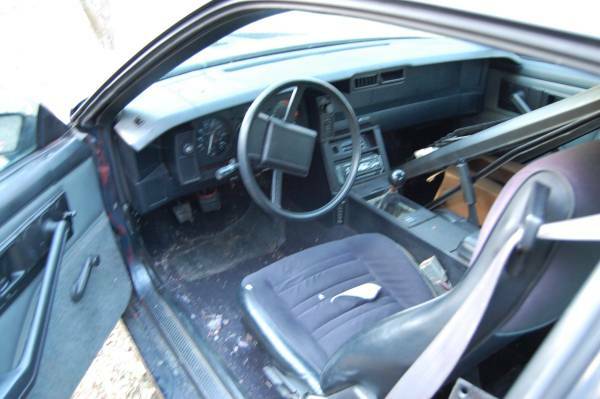 The interior certainly wasn't cleaned up for this photo. It does reveal crank windows which have largely disappeared from cars of today. The 5 speed shift knob is literally the size of a pool ball. I believe this car still may have a 85 mph speedo as well. The catalytic converter on Cory's Mercedes C36 gave up the ghost and blocked up the exhaust. The new pipes are on and thankfully all horses have reported for duty. Looks like this one had a fairly garbage respray from red to black. Red is showing through on the door frames (jams or "jambs" or whatever they are) and part of the fender. Also, in another instance of "why do I remember this instead of college?" - the IROC Z emblem should be on the front of the doors, not the rear. Thanks, I couldn't figure out why it looked off, the dam stickers in the wrong spot!